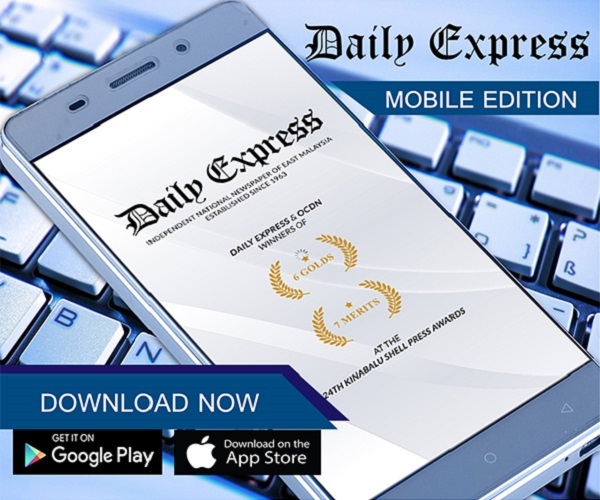 Filipino who stabbed wife shot dead | Daily Express Online, Sabah, Malaysia. 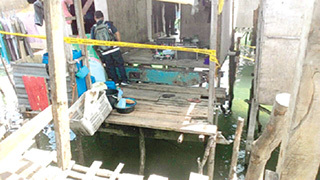 Kota Kinabalu: A paperless Filipino was killed when he confronted police after stabbing his wife at the Kampung Pondo water village in Pulau Gaya, on Sunday. The man in his 30s was gunned down when he charged at a 27-year-old constable after stabbing his 23-year-old Filipina wife in the abdomen. The woman who also sustained injuries to her chin was subsequently rushed to the hospital by neighbours. The stabbing is believed to have been triggered by the man's jealousy and suspicion that his wife, who is also paperless, was having an affair. City Police Chief ACP M. Chandra on Monday said eight policemen went to the scene after being alerted of the stabbing at about 4pm. The woman was already taken to the hospital by the time the team arrived 30 minutes later to find the man standing outside the premises with a knife in his hand. The knife-wielding man started yelling at the policemen, challenging them while brandishing the knife. At one point he even threatened to inflict injury on himself should any of the policemen come near him. Thirty minutes later the man suddenly lunged at a policeman who was standing on the walkway shouting 'aku bunuh kau' (I kill you). The man ignored warnings by policemen to stop and jumped into the sea, charging at the policeman who had by then fallen into the water in his haste to avoid being attacked by the man. The man's confrontational behaviour and refusal to comply with orders to stop prompted police to open fire.